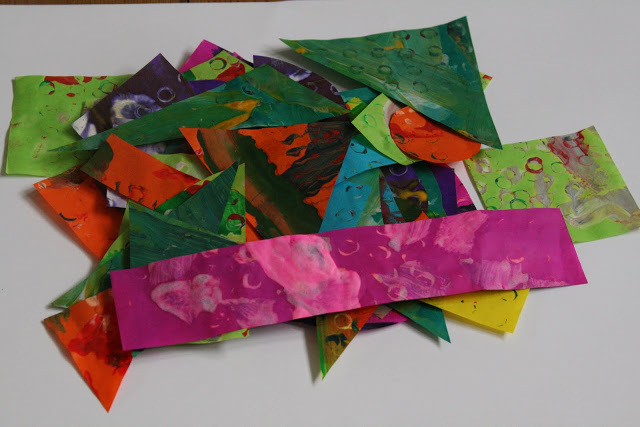 Our first activity for our Eric Carle focused week is beautiful art work made using the exact method that he describes on his own website. 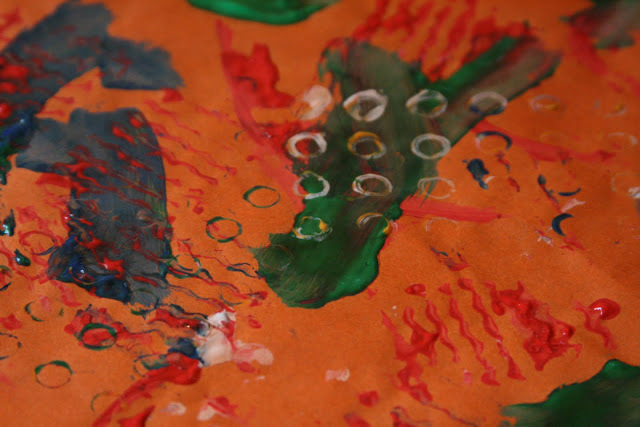 He created many of his pictures by simply painting and printing onto tissue paper, then cutting and sticking them to create shapes and pictures. First of all we watched this wonderful slideshow from the Eric Carle website which shows how he does it. It’s fascinating to be able to see the creative process and amazing how simple the technique is. We simplified it even more so that it would be suitable for a 2 year old and 1 year old, but it can of course be adapted for all ages quite easily. 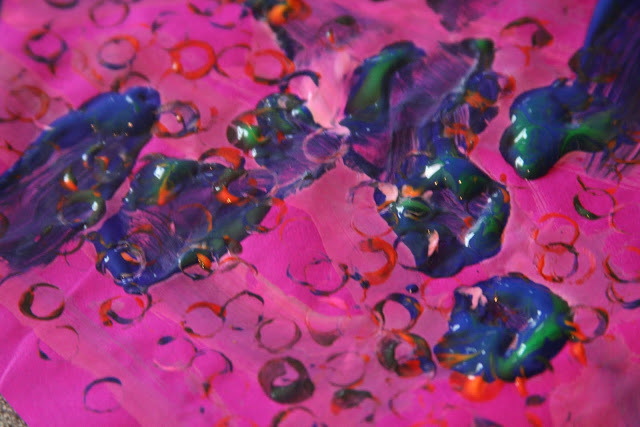 I found some thick, brightly coloured sheets of tissue paper. 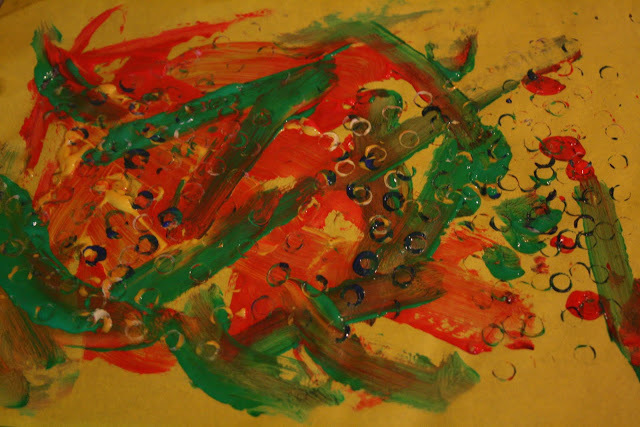 I think the thicker the better as young children have a tendency to over paint and also to move and scrunch the paper, therefore potentially causing it to rip. 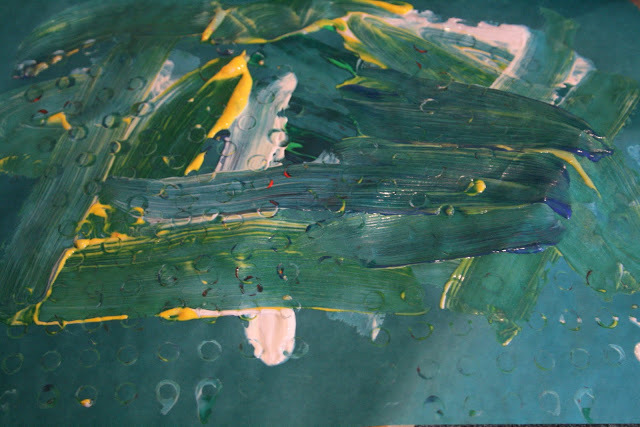 They painted the sheets of tissue using a range of thick and thin brushes dipped in bright contrasting colours. Their marks were much simpler than Carle’s, of course, but still looked effective. Then they added more strokes and marks on top and next to the original ones, using another contrasting colour to make the colours really pop off the page! 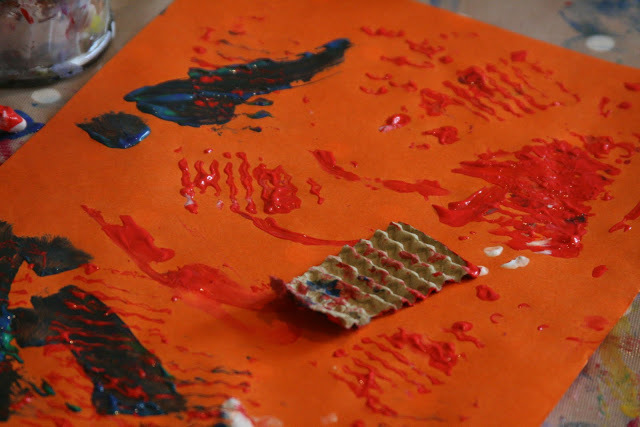 Then we found some Duplo bricks and some corrugated card and they added texture to the paintings by dipping them into paint and printing with them over the top. Again, they had to be careful not to over-do it so that the paper didn’t tear. And these were some of the stunning results! Yellow, green and red. 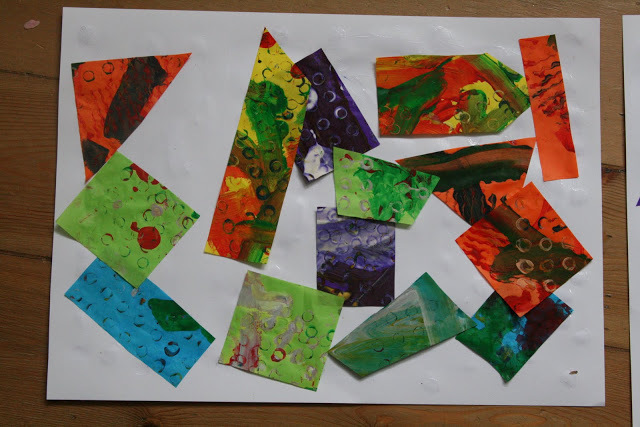 We left them to dry overnight, then I cut out random shapes, some regular, some irregular to begin the makings of our collage. 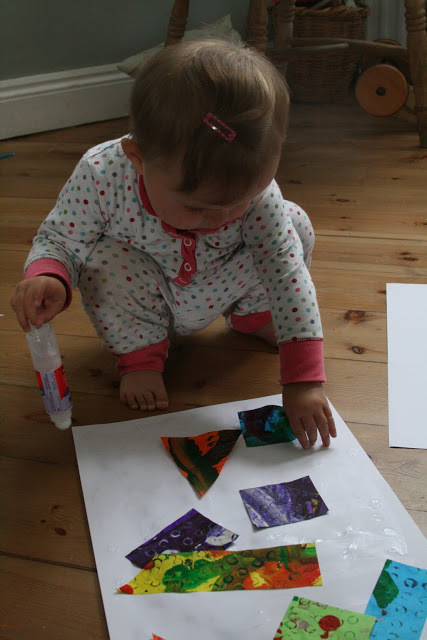 The girls stuck the shapes randomly onto large pieces of A3 white cartridge (drawing) paper. I helped with spreading the glue and they loved the sticking part! And these are the finished works of art! 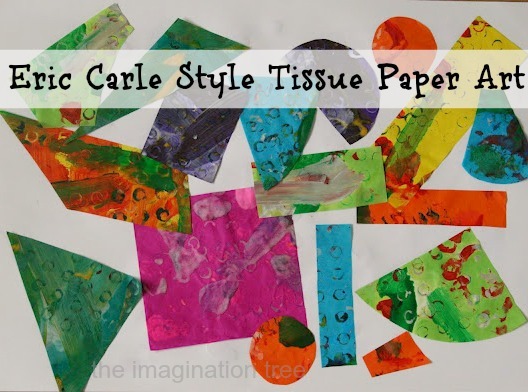 Absolutely beautiful painted tissue-paper collages in the style of Eric Carle. By Little Pop, aged 14 months. By Cakie, aged 33 months. 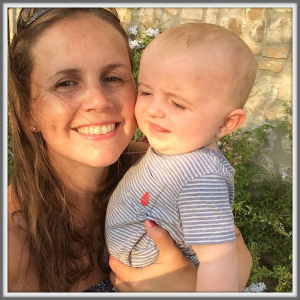 By Mummy (aged 32! 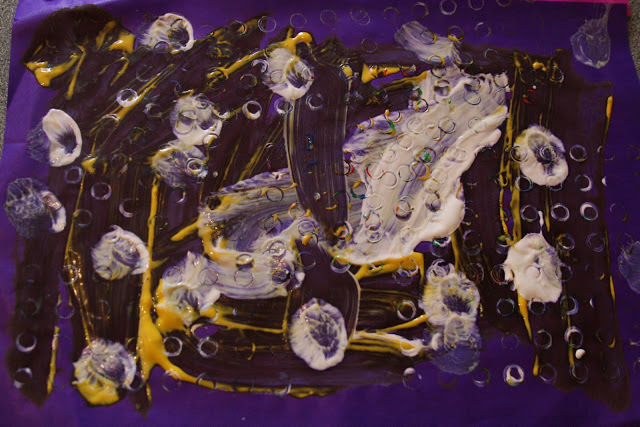 ), Cakie and Pop, a collaborative effort! For older children I would suggest they cut out their own shapes and also plan what to turn them into, choosing and sticking the shapes to create a pre-conceived design. 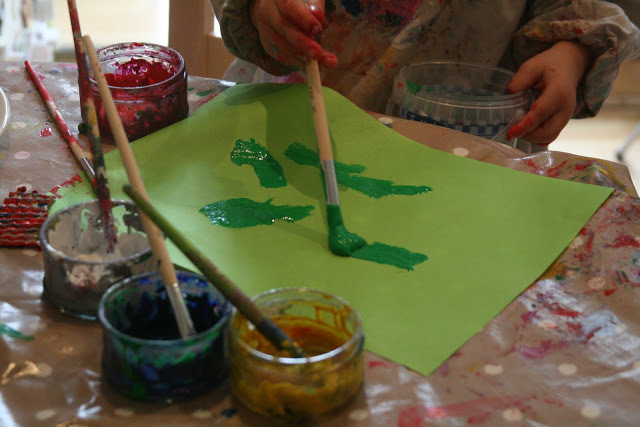 They could make the iconic caterpillar or butterfly from The Very Hungry Caterpillar, one of the beautiful coloured animals from Brown Bear Brown Bear or make up their own idea! I think they would also look stunning if cut to make letters to form a child’s name. Perhaps that’s what I will do as my next crafty project. This activity is part of the birthday celebration being hosted at An Amazing Child this week! We did this at library storytime a few months ago…it was a lot of fun. I think of so many ideas for things that I can do…not just my daughter. LOL We actually used the book The Tiny Seed (I think) and made flowers. These look fantastic! and my children love the Hungry Caterpillar. 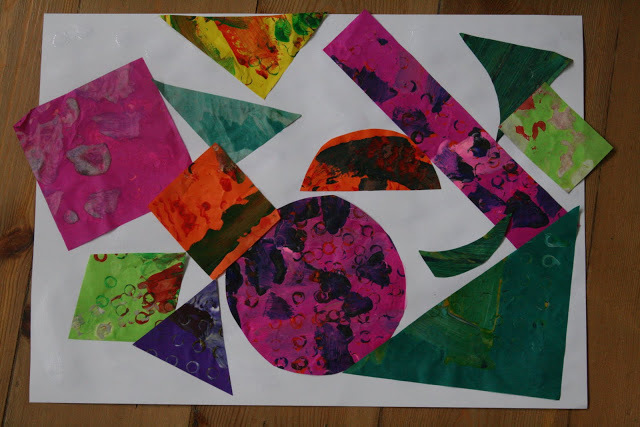 You’ve inspired me to have a go at this, just off to look for the Eric Carle website! I love that technique and the results are phenomenal! You can tell you did your homework. It looks great! SUPER CUTE! 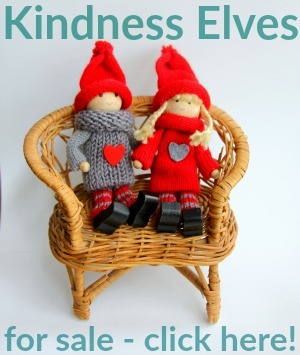 I love this project, the colors and patterns make me happy :] Thanks for sharing! Wow, it’s amazing! And it’s fun! We want to do this, too! This is really stunning. 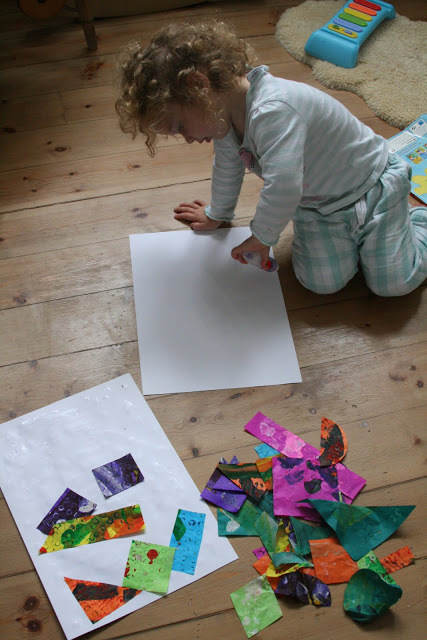 Plan to do this at pre school this afternoon and then use the cut outs to make an Eric Carle display. Thank you for the idea! Beautiful stuff 🙂 Love the way it looks. 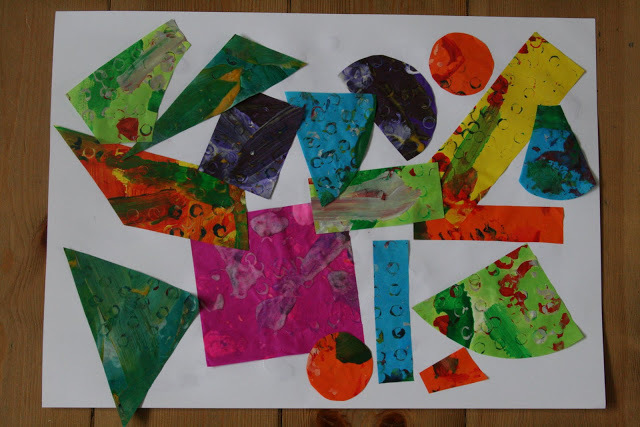 We painted tissue paper a while ago but my boys refused to make collages with it (they’re older than your kids) because they didn’t like the idea of cutting it up. I love how yours turned out, both the full paintings and the collages! oh, I love it. 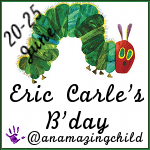 We’ve been celebrating Eric Carle this week by relearning his books in American Sign Language. It’s really re-ignited the kids in his works. I’m working on a post to share brown bear in ASL. so much fun. Enjoy the week! Isn’t this a fun process?! 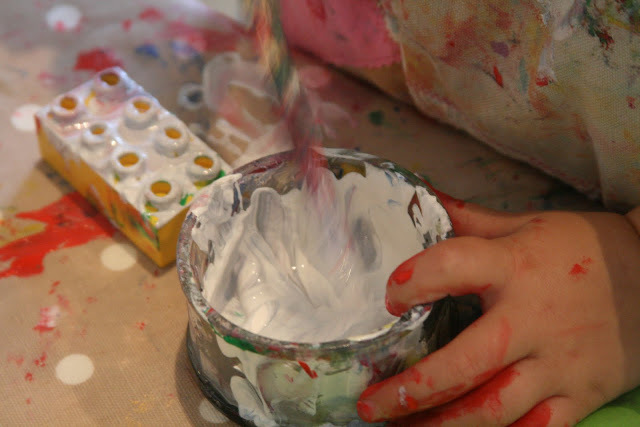 Not only is it fun for the kids, but the end result is lovely to look at too! I love all the layers and colors. That a beautiful work of art. I would love for you to link in to my weekly children’s book exploring meme called Read.Explore.Learn. 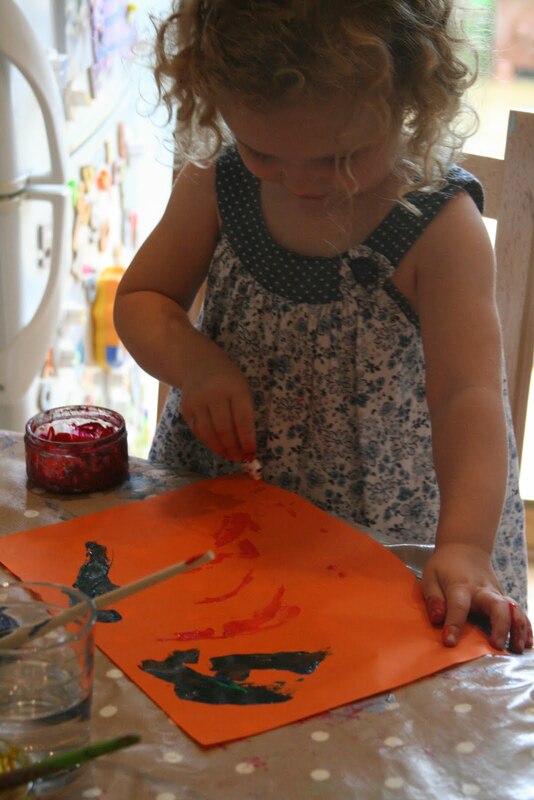 It is inspiring how you create age appropriate activities for such little ones. (Makes me wish yours were older than mine!) I have passed your ideas on to many friends with young kids. Wow! Your collage paper is awesome! Those are beautiful! Definitely works of art that I’d be keeping for posterity. LOVE IT & Guess what- I’m going to feature it this weekend on The Sunday Showcase- so hop on over to Classified: Mom and grab your button- you deserve it 😉 See you this Sunday! Just curious where you found thick tissue paper. I’ve never seen it. 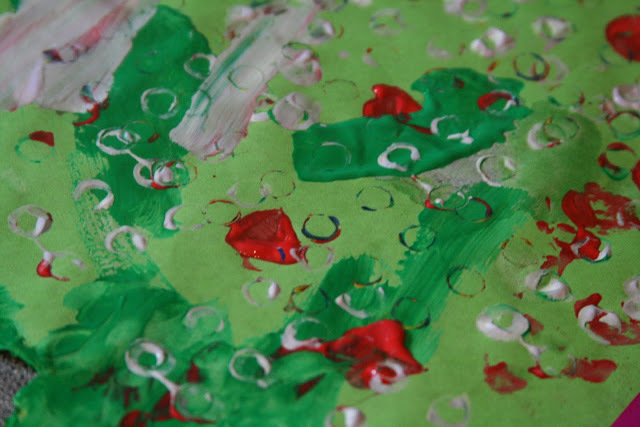 We create these in our preschool each year. I love your step by step instructions. Thank you for posting! Where did you find the “thicker” tissue paper? Do most craft stores carry it? I love those books–especially the hungry caterpillar. My daughter is 14 months and I am starting to introduce the books to her.